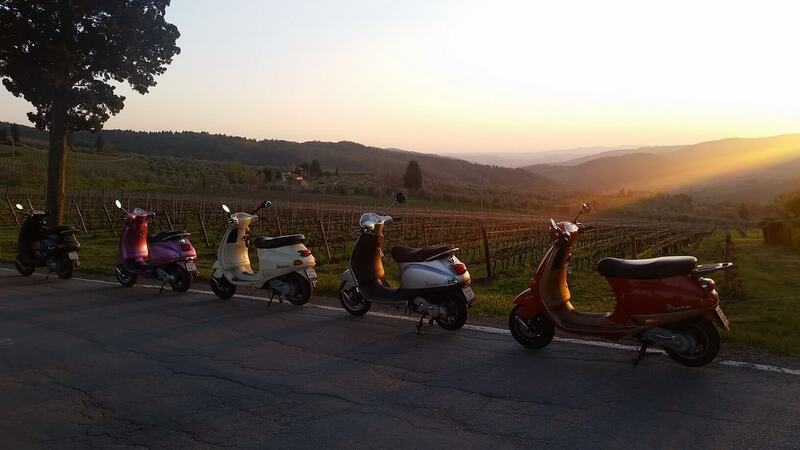 In addition to our Tuscany Bike Tour, you can also join us for our Tuscany Vespa Tour through the Tuscan countryside! 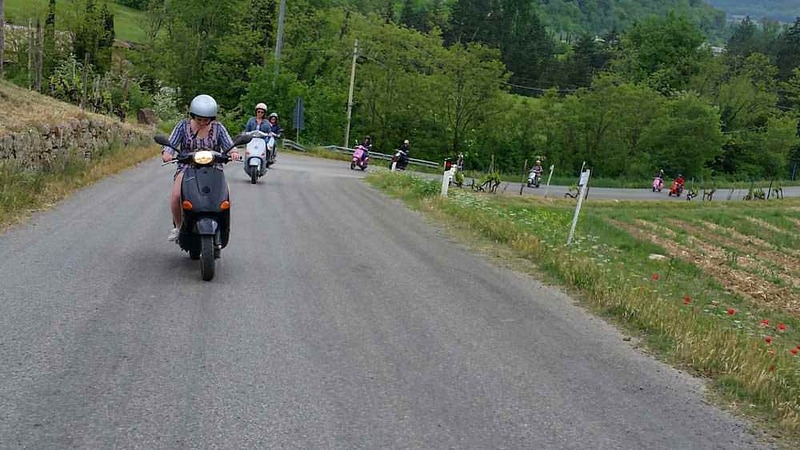 Our Tuscany Vespa Tour is the perfect option for visitors seeking a fun and exciting tour in the beautiful Tuscan countryside. 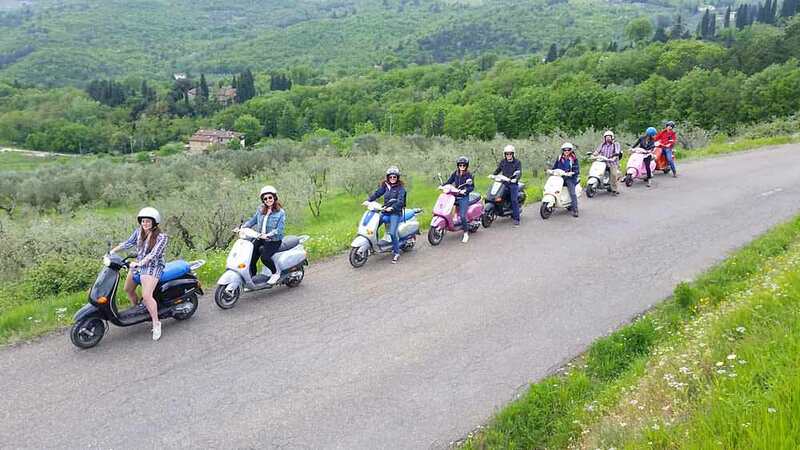 Every morning at 10 am you can escape from the crowded streets of the city to see life as a local as you zip around the stunning Tuscan countryside on a REAL Vespa (with automatic gears)! 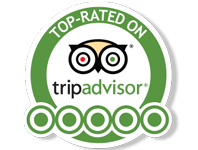 The tour is perfect for all levels as we always begin with a lesson so that beginners may get the hang of driving. After the lesson, the real fun begins. 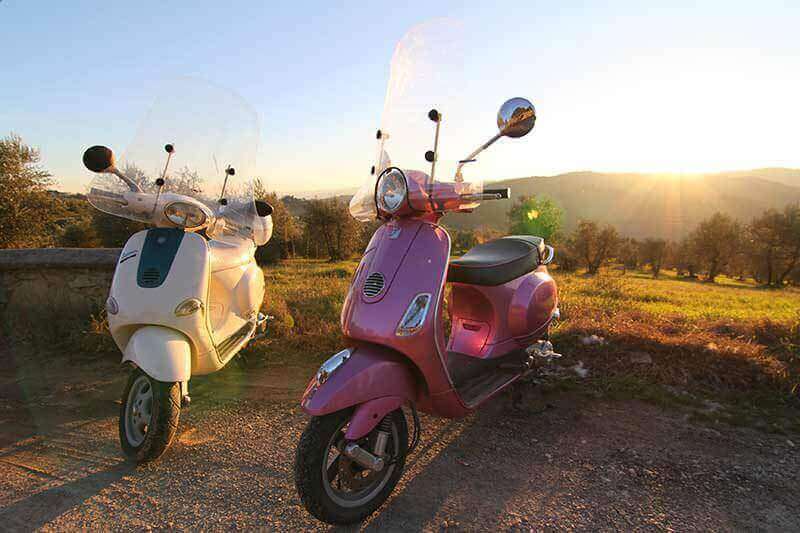 We will zip through the winding country roads and stop for pictures along the way. 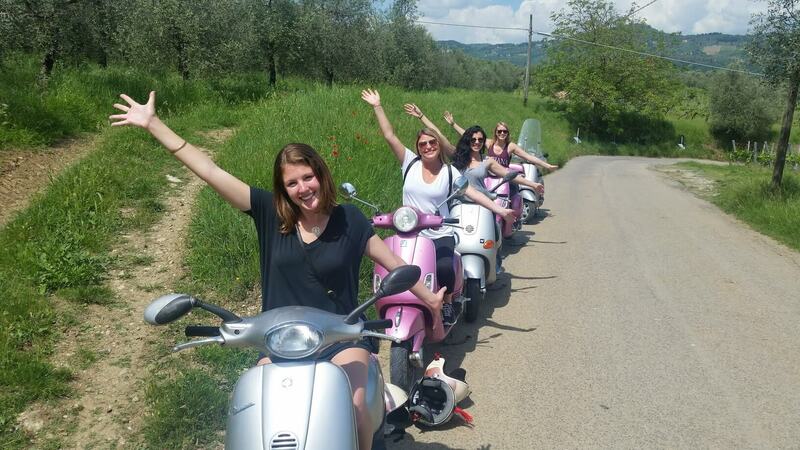 You won’t want to forget your camera on this trip – the sights are incredible and you will be in the heart of the Tuscan region of Chianti! 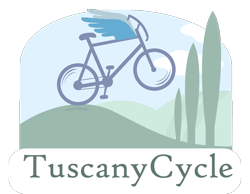 After our picture break we will continue driving until we return to a private Tuscan winery to learn a little bit about how the local wine and olive oil is created. 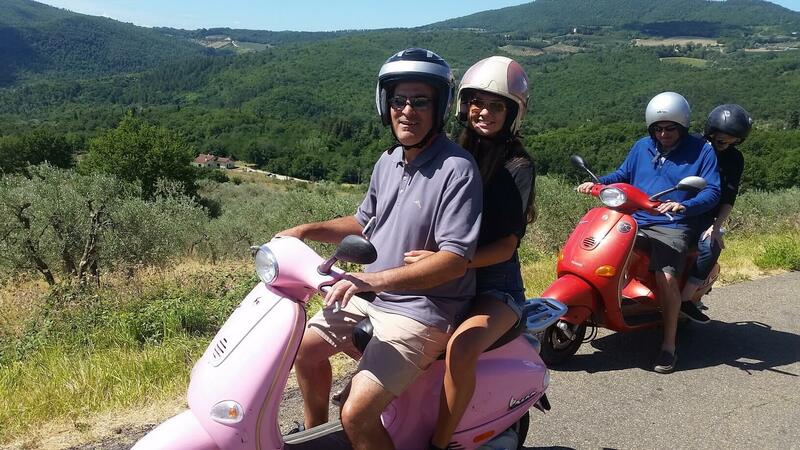 With this tour you won’t feel like just another tourist, you will get to explore Chianti like a real local! 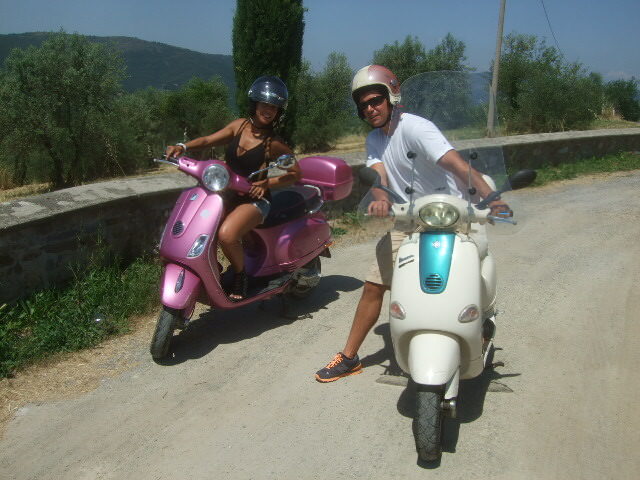 Tour departs at 10 am from our shop in Via Ghibellina 133 red, usually return around 3 or 4 pm. 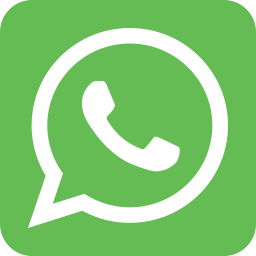 Please note that the return time may vary based on group size and skill level of drivers. *You will have the option to add a passenger to the next step.